Some children experience significant difficulties in aspects of their psychological development, making it hard for them to achieve their full potential inside the mainstream school curriculum. Those developmental difficulties can be elusive—hard to diagnose or even define precisely—and hard to treat. Naturally, there is no shortage of those who claim to have found the solution—wonderfully simple and effective— and who try to sell it to (often desperate) parents, teachers, psychologists or speech therapists. What these consumers need is the ability to critically evaluate the therapeutic products that are being marketed to them. In this talk, Dr. Marcin Szczerbinski of the UCC Applied Psychology department will offer a brief overview of special educational needs—their symptoms and causes—as currently understood by the mainstream scientific community. The talk will cover subjects such as dyslexia, dyscalculia, dyspraxia, ADHD and autism. He will then suggest some rules of thumb that will allow us to evaluate the competing therapeutic proposals, helping to differentiate those that are plausible from those that are almost certainly a waste of time. The boundaries between evidence-based therapy and its dubious alternatives can be fuzzy. Even bona fide scientists are often guilty of over-selling the genuine remedies they offer. Dr. Szczerbinski will discuss the effectiveness of widely known therapies, such as Educational Kinesiology and Brain Gym as part of the talk, questioning how effective they are in reality. About The Speaker: Dr. Marcin Szczerbinski is a psychologist, a graduate of the Jagiellonian University, Kraków, and University College London. He has taught psychology and research methods at the University of Sheffield, before moving to the UCC earlier this year. He researches developmental dyslexia, among other things. 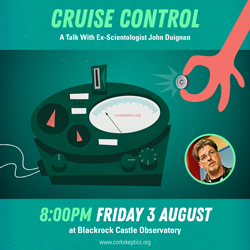 Venue & Time: This talk will begin at 8.00pm on Friday 17th June, in Blackrock Castle Observatory. Everyone is welcome and the talk is free to attend. Please see our Skeptics In The Castle page for directions to the Castle. 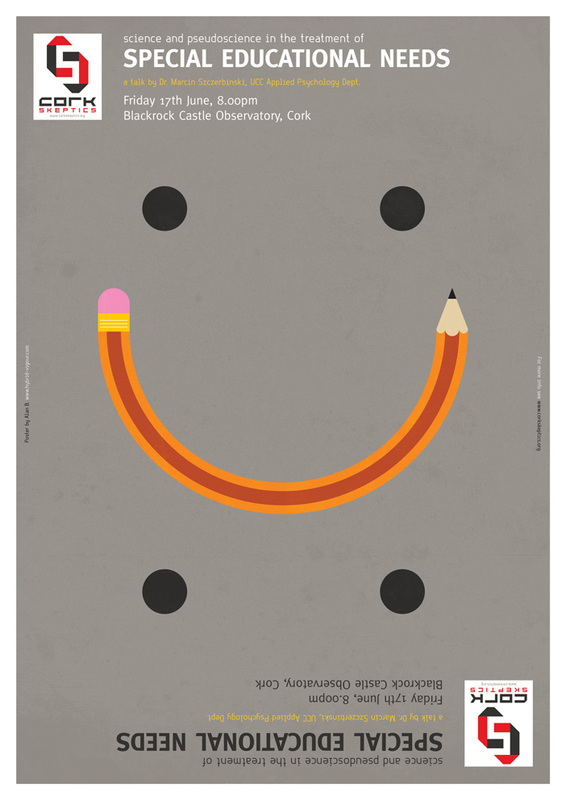 Categories: Alt Med, Events, Pseudoscience, Psychology, Science, Skepticism, Skeptics In The Castle | Tags: ADHD, autism, Blackrock Castle, Brain Gym, dyscalculia, dyslexia, dyspraxia, Educational Kinesiology, June, Marcin Szczerbinski, parents, poster, psychology, school, skeptics in the pub, speech therapists, talk, teachers, therapy, UCC | Permalink.